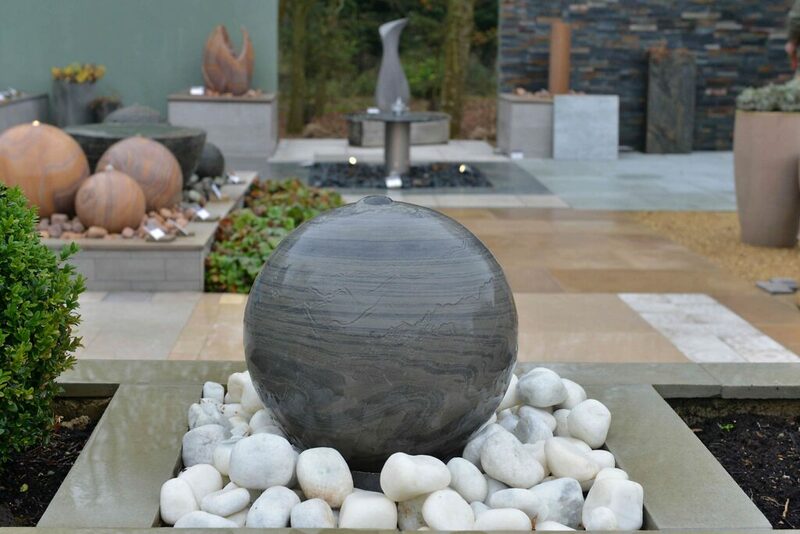 Purchasing a water feature is a big decision, that’s why we’ve created this article to help answer those pre-purchase questions that you may have! 1. You don’t need a water supply. 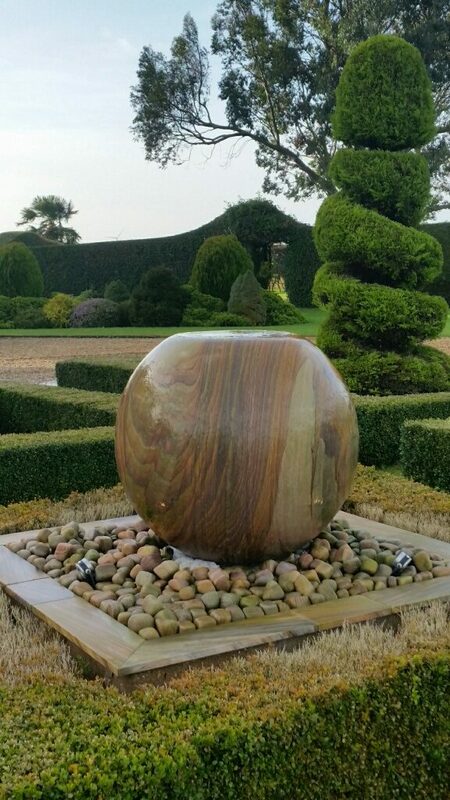 All of our water features are self-contained, they just need topping up occasionally! 2. You’ll need an electricity supply as all of our water features use electric pumps! 3. Pretty much all water features work the same way. There’s a reservoir of water (or sump), which has a pump which moves water up the pipe. Gravity then brings the water back down to the reservoir. Whether this mechanism is surrounded by stainless steel, granite or a sculpture, the principle is the same. 4. Have a think about the sound. This is almost more important than what it looks like. If it sounds like a bath filling it won’t be relaxing, if it’s a barely-there trickle, it might just be annoying. Luckily all of our pumps are adjustable so you can increase or decrease the pressure accordingly. If the sound is very loud, you may need to top up the reservior. 5. Think about cleaning it. Water will get slimy, especially during the winter. That’s why it’s a great idea to also purchase our cleaning kit and chlorine tablets. Pop one tablet in the res a month and that will keep any nasties away and still be ok if the birds drink from it! 6. When you are finding a place for your water feature, think about what’s above it. If it’s under a tree, for instance, it’s likely to get lots of leaves in it. We provide a mesh to prevent leaves getting in but there may still be some that get through. 7. 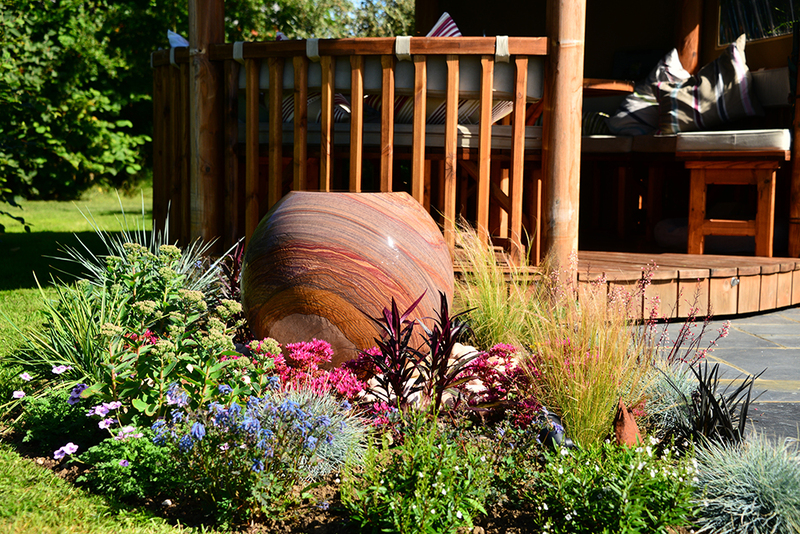 It’s much easier to get a water feature, or any feature, to look good if it’s placed in amongst planting rather than at the centre of a space. Nestled among the plants it doesn’t matter if it’s a bit too big or small. 8. 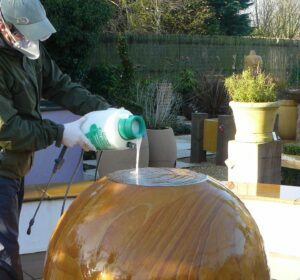 Interestingly, all of our – will work in either a modern garden or a traditional one, so if you’re not sure of your style of garden we’ll have something that fits! 9. Think about lighting the water, some of our water features come with an option of an inbuilt light and others would benefit from our uplighters. If you’re going to have it in sight of the house this will look really good all through the year. 10. If you have children consider their safety first. Small children can drown in tiny amounts of water, so it’s advisable to buy a feature with no exposed water! Ask us about our pebble pools which have no exposed water so are completely child proof!